Use or adapt these artifacts, lessons learned and tools generated through the Colorado accreditation/program improvement process. Exhibit 1: This data collection form was used by the college to report on various data items, including enrollment in EC courses. Project partners identified and defined these data items and the rationale for their collection. Data was collected 30 days after the end of each semester. Clayton reported the data to project partners for individual colleges and for the cohort of all colleges participating in the project. A one-page dashboard report was developed for each college to display the data in a consistent and user-friendly manner. You can view these dashboards in the Partner Community College Programs tab of the website. Exhibit 2a: This timeline was used by the college to report on the status of each part of the self-study. Clayton developed the timeline using the NAEYC self-study handbook as well as information presented at several NAEYC Professional Development Institutes (national conferences). Colleges filed reports related to the status of the self-study every calendar quarter. Clayton used the information in the reports to plan and provide technical assistance to the EC programs as needed. Exhibit 2b: In the last year of the project, the timeline focused on tracking the actual writing of the various sections of the self-study reports. Clayton’s project coordinator provided technical assistance throughout this phase of the project. In addition, a writer/editor was engaged to review drafts of the self-study and suggest edits to enhance the clarity, voice and structure of the text. The editor used the “track changes” tool to make suggested edits. Programs retained ownership of final content by deciding whether to accept or decline suggested changes. Exhibit 3: This budget report was completed and submitted by the college each year to show the intended use of program improvement funds and to report the actual amounts spent each quarter. 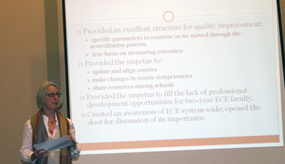 Program improvement funds were allocated to colleges based on EC program student enrollment. The colleges prepared the budget each January. Clayton’s Project Coordinator reviewed proposed expenses for feasibility and reasonableness. The colleges received two disbursements per year. Quarterly reports were due 30 days after the end of each quarter. Letter of Support from College PresidentsIn order to assure that individual colleges within the Colorado Community System understood and supported the project, College Presidents were asked to sign this letter of support. This request was sent on the letterhead of the project funder (the Boettcher Foundation). Letter Concerning Changes to the MOUWhen changes were made to a college’s MOU (e.g., an increase in funding or a change in administration of the ECE program), these letters were signed by the College’s administration to confirm understanding of the amended MOU. Project Coordinator ResponsibilitiesClayton Early Learning hired a Project Coordinator to manage the three-year project. Her expertise in early childhood education, project management skills, persistence in the face of challenge, and knowledge of Colorado EC Programs and the Community College System were major project assets and contributed in a direct way to the project’s success. Acknowledgement of Reporting RequirementsThis letter was utilized to assure that the contact person at each college was aware of the quarterly reporting requirements for the project. Participating Community College EC Programs use the following data management systems. D2L is used by the Colorado Community College System as its online learning platform. Each college decides how to use the system in online and hybrid courses and, in some cases, as a course supplement tool. Within the platform, student performance data on Key Assessments can be collected and aggregated. With the Rubrics tool users create analytic rubrics, multilevel rubrics with columns of performances (levels of achievement) and multiple criteria rows. Different values can be assigned to the achievement levels for each criterion. The created rubric is attached to the Dropbox for the Key Assessment assignment. The course instructor grades the assignment using the Rubrics tool and the data analytics program aggregates and summarizes the levels and criteria of the rubric. The Task Stream system can be used to enter and manage assessment data. Task Stream provides cloud-based software and supporting services to efficiently plan and manage assessment and accountability processes, demonstrate learning achievement, and foster continuous improvement thru the learning network. Task Stream technology enables educators to document, organize, and manage assessment processes; systematically address accreditation requirements; develop, assess and manage e-portfolios; manage field placements, internships and other remote educational experiences; easily and reliably administer surveys; use outcomes-based assessment data to demonstrate effectiveness and effect change; and, ultimately, promote continuous improvement throughout their organizations. 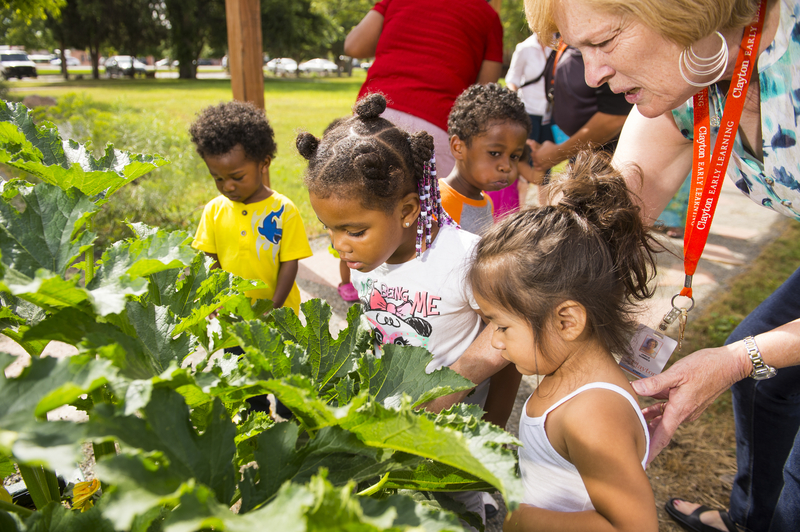 NOTE: By providing information about these programs, Clayton Early Learning is not endorsing their use or effectiveness. Rather, the intent is simply to share information about the current practices of participating EC programs. Launch the project with an invitation that permits joint discussion of the opportunity and a joint decision to go forward with accreditation as a state. Respect the common as well as individual interests of the funder, college and state system, and each college and EC program. Build and maintain relationships with all project partners in an intentional and consistent manner. Accept the validity of each college’s decisions related to joining the project as well as preparing for accreditation or program improvement. Hire a project coordinator with a background in the community college system and established relationships with faculty across EC programs and with many state partners. Communicate with partners frequently; the project coordinator checked in with each program at least monthly, sometimes by phone or email, sometimes face-to-face. These contacts were adjusted based on the needs of the colleges identified through a review of the quarterly reports. Connect the NAEYC accreditation work with state EC systems building efforts, including especially those related to the EC professional development system. Provide tools that EC programs can use with flexibility, based on the distinctive communities, needs and contexts in each college’s service area. Develop and deliver Summer Institutes (intensive professional development) for EC faculty statewide that complement the content of the self-study and program improvement process. Implement a tighter timeline for writing the self-study report. Provide EC programs with NAEYC-endorsed exemplars for each section of the self-study. Institute central disbursement of the funds through Clayton Early Learning (project facilitator) since each college handles fund differently. Schedule the presentation on developing assessment rubrics later in the process, after EC programs have a solid understanding of the purpose and design of key assessments. Attend to leadership development by offering a Leadership Institute for college faculty. After the site visits were completed, Clayton Early Learning project staff had the opportunity to meet with representatives from the participating EC programs to debrief their experiences, exploring the most valuable aspects of the project as well as those that were challenging. Download instructions to access the Summer Institute Resouces from the inception of the project.